Imagine a boat trip that will take you away from city. Sunset, wine and a great meal on the boat. 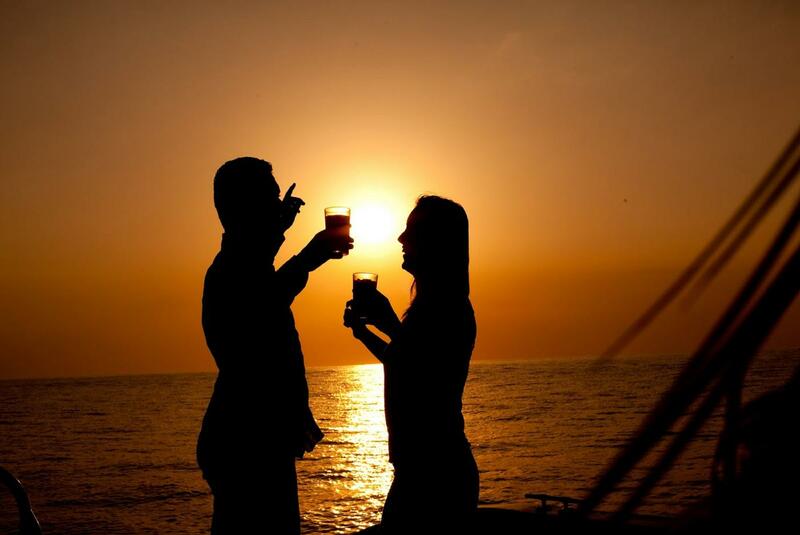 We invite you to one of the best night in Fethiye. Jump on the boat and relax. 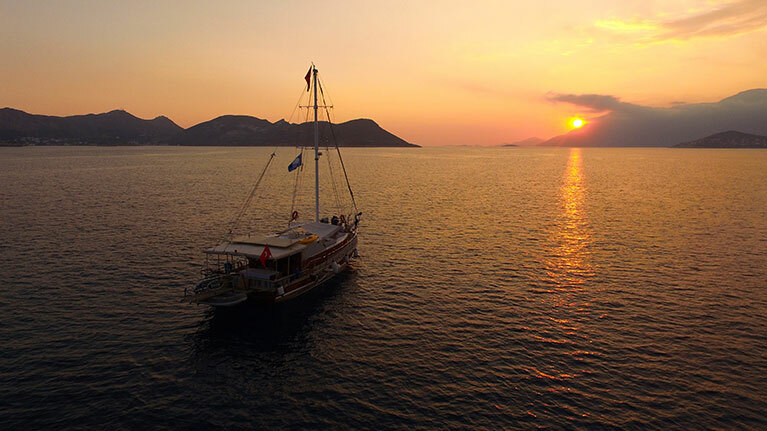 We will sail you to St. Nicholas island where you can see the ancient church and ruins while the crew will be prepearing your nice meal for the night. The meal which will be barbeque in three different course will be served after the tour at island. After the meal you can dance under the moonlight or relax and watch the shooting stars and spend a spectacular night with your family or partner. Note that this is not a swimming tour. Dress casual but bring your swimsuits and towels if you want to jump into water whenever you wish.